News tips and press releases may be sent to editor at hollywoodinvestigator.com. All submissions become property of the Hollywood Investigator and deemed for publication without compensation unless otherwise requested. Name and contact information only withheld upon request. 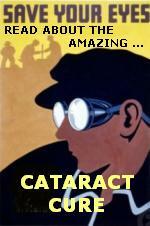 Prospective reporters should research our Bookstore. [HollywoodInvestigator.com] California State Senator Ted Lieu (D - Westside) is running for Congress in the 33rd Congressional District, hoping to replace the retiring Henry Waxman. He's also currently sponsoring a bill that should civil libertarians and Constitutionalists across the political spectrum. "Lieu's Senate Bill 980 would compel police departments to allow inmate defense teams to conduct DNA testing on biological case evidence and allow courts to act against law enforcement officials who destroy DNA evidence in violation of state code." "Law enforcement agencies are currently allowed to destroy biological evidence six months after a conviction, but Lieu's proposal would extend the timeline to a full year. It would also mandate that DNA evidence be run through the FBI's Combined DNA Index System in cases where DNA evidence is found not to match a suspect or inmate.
" 'I think one of the greatest injustices that a government and a society can commit is to wrongly convict an innocent person,' said Lieu, a former Air Force Judge Advocate General prosecutor. "Since 2000, there have been 244 post-conviction DNA exonerations in the United States, including eight in California, according to the California Innocence Project, which is co-sponsoring the bill with the Northern California Innocence Project." Ted Lieu's main opponents include Wendy Greuel and Marianne Williamson. 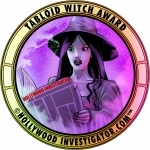 "Hollywood Investigator" and "HollywoodInvestigator.com" and "Tabloid Witch" and "Tabloid Witch Award" trademarks are currently unregistered, but pending registration upon need for protection against improper use. The idea of marketing these terms as a commodity is a protected idea under the Lanham Act. 15 U.S.C. s 1114(1) (1994) (defining a trademark infringement claim when the plaintiff has a registered mark); 15 U.S.C. s 1125(a) (1994) (defining an action for unfair competition in the context of trademark infringement when the plaintiff holds an unregistered mark). All content is copyright by HollywoodInvestigator.com unless otherwise noted.